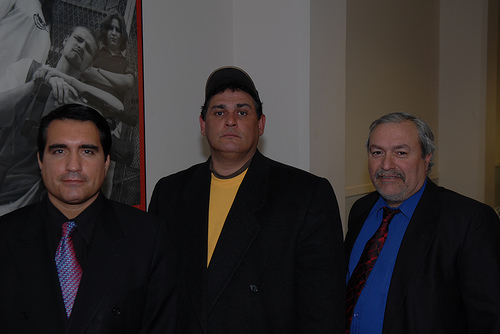 WATCH THIS VIDEO: CLICK HERE: http://video.google.com/videoplay?docid=4694254906291173648 Frank Avila Jr., Johnny Ruiz, and Bruce Randazzo try to explain the political dark-side working for the City of Chicago. Johnny Ruiz has been accused of Sexual Harassment by a co-worker at the Chicago Department of Streets and Sanitation. He will be fired soon. Bruce Randazzo made some serious accusations as to the lack of the respect for the health and safety for Chicago’s Citizens. In a pre-production conference, Johnny Ruiz made some major fraud allegations, I am hoping Frank Avila, Jr. will represent Johnny Ruiz. Photo by Patrick McDonough. A 17-year-old mother and her infant daughter were killed in an extra-alarm blaze when they became trapped in a two-flat on the South Side. Family members are telling firefighters a furnace was to blame. While the family is assuming the furnace caused the fire, the fire department’s Office of Fire Investigation has “just begun” its probe. Officially, the fire and its origin and cause were unknown Monday morning, according to Fire Media Affairs Director Larry Langford. A woman and her 7-month-old daughter were killed in this morning’s blaze. The two-alarm fire started about 4:45 a.m. in the rear of a two-story frame house in the 5300 block of South Marshfield Avenue. The blaze was controlled about an hour later, Langford said. The woman and her infant daughter, 7-months, were killed, according to the Cook County Medical Examiner’s office. Their names and pronouncement information were not immediately available. Nobody else was hurt, but six to eight residents are displaced, Langford said. Upon arrival, firefighters found several people outside the house and heavy fire coming from windows on the first and second floor. Firefighters applied water immediately, but could not get inside the building because the fire was too strong. The mother and baby were trapped in a second-floor bedroom, where their bodies were found, Langford said. The roof where the fire started was “burned through,” but did not collapse. A 2 1?2- story house to the south was “slightly affected,” but the damage was not major, Langford said. It was not yet known if the building had working smoke detectors, Langford said. Next PostNext Will this make it easier for you to watch video?